No journey to Australia could be complete without exploring the tranquil beauty of the Blue Mountains. Our Blue Mountains Day Tour offers breathtaking views from the mountain tops, spectacular wildlife, historic rock formations and sandstone cliffs. We start our Blue Mountains Day Tour hoping to spot some wild kangaroos and cockatoos in their natural habitat. 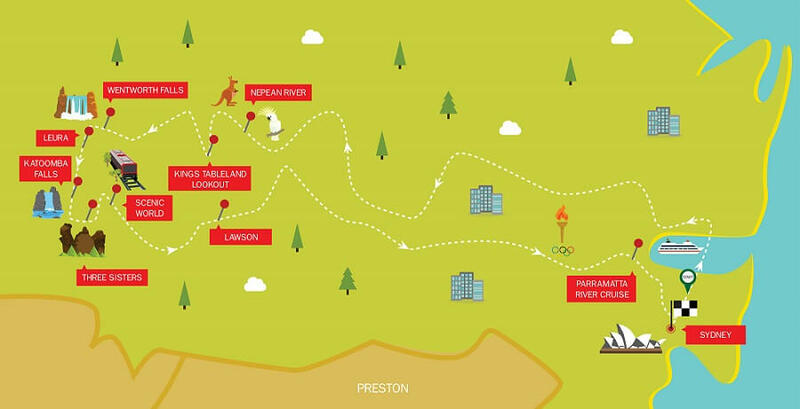 We head on to Kings Tableland or Evans Lookout – the best places to view the wilderness of the Blue Mountains. Here there is no coach access to these viewing points, so this viewing experience away from the large tour groups is quite special. We enjoy a pleasant bushwalk to a special location such as Leura Cascades or Wentworth Falls, and get photos from some of the most spectacular lookout points of the Blue Mountains. 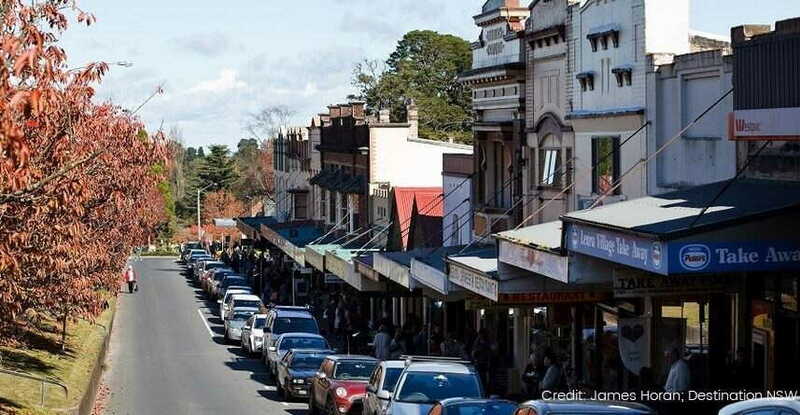 For lunch we take some time to explore the picturesque village of Leura. Here there are great shops and excellent choices for lunch to cater for everyone. 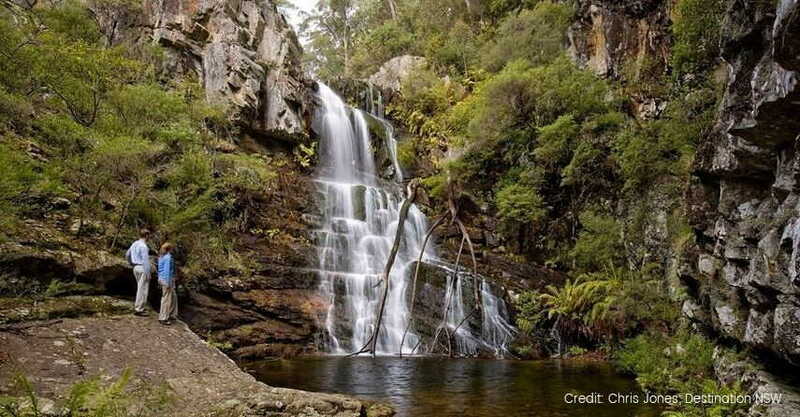 We visit Katoomba – the main town of the The Blue Mountains and it’s here we see the magical Katoomba Falls. 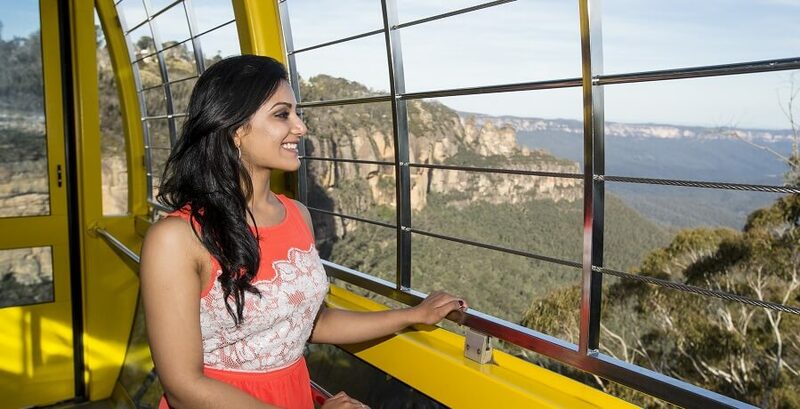 Your 1 Day Blue Mountains Tour would not be complete without hearing all about the Aboriginal History in the Blue Mountains and the legend of the world famous Three Sisters rock formation. 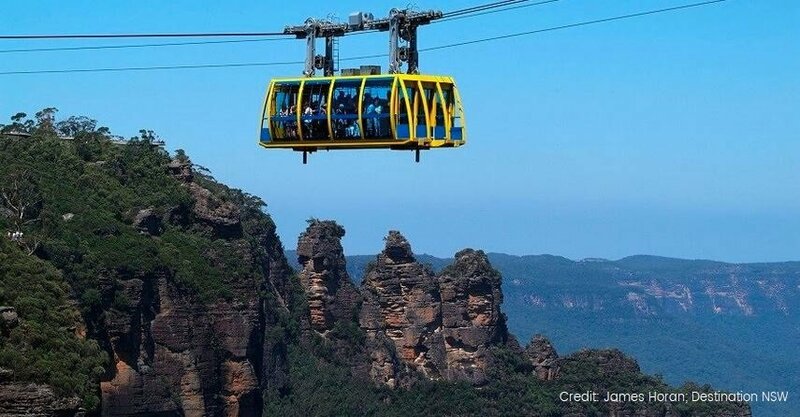 Next, we visit Scenic World, where you can ride the world’s steepest Scenic Railway, the Scenic Skyway or the Cableway (rides at your own expense). Learn all about the Aboriginal rock engravings and the Dharugs, thought to have arrived in the Blue Mountains over 22,000 years ago. En-route home pass by Homebush Bay, which was home to the 2000 Olympic Games. Conclude your day with a trip up Sydney Harbour, unwinding on an afternoon cruise along the Parramatta River back to Circular Quay city centre. 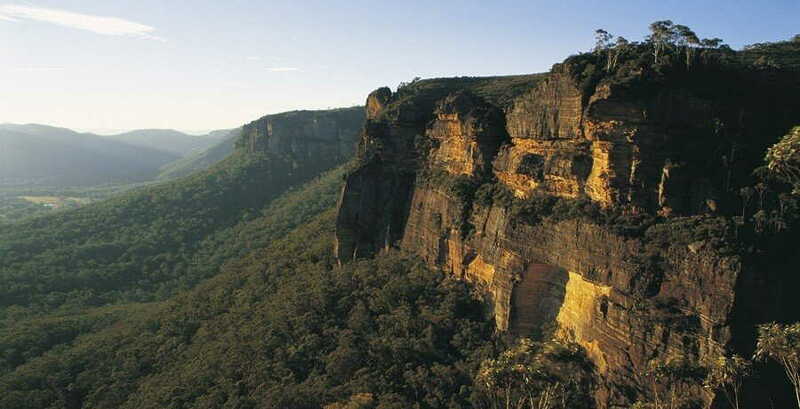 Book our Blue Mountains Day Tour today! 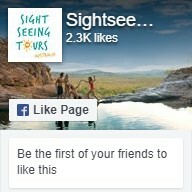 Why not check out our other Blue Mountains Tours?